Sometimes you need to manually trigger an update of the information in fields like those used in a table of contents, headers and footers, cross-references, bookmarks, and formulas in tables. You can update fields one by one, or you can update all the fields in your document at once. In a document you have open, right-click a field, such as a table of contents, a page number, or a cross-reference, and click Update Field. If you’re updating a table of contents, in the Update Table of Contents dialog box, select whether you want to update page numbers only or the entire table. Updating page numbers only simply updates the page numbers for the existing sections. It doesn’t add new sections to your table of contents. 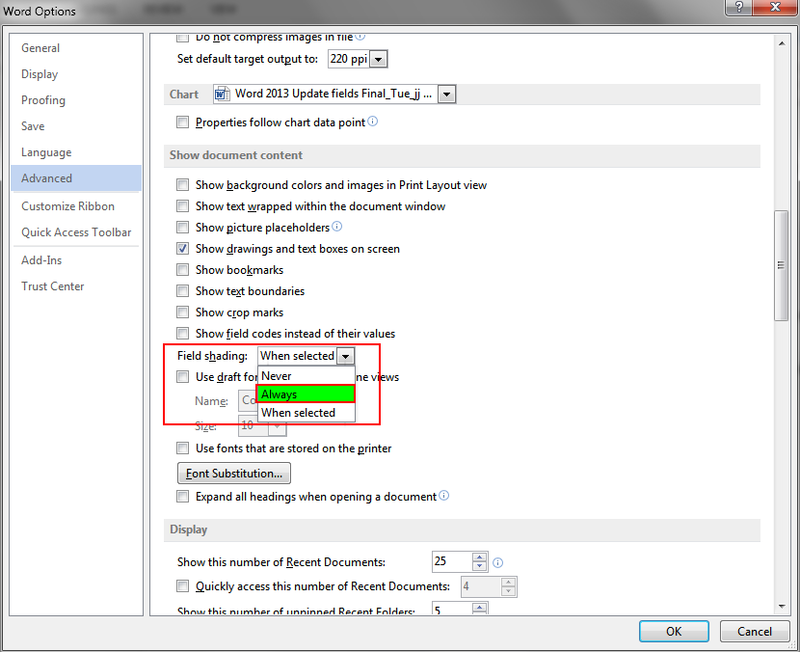 To update your table of contents with new sections from your document, select Update entire table. If you’re having trouble distinguishing which parts of your text are fields, you can set all fields to show up with grey background. To do this, click FILE > Options > Advanced, and under Show document content, from the Field shading drop-down menu, select Always. If your document has tables with fields or formulas, you might need to select each table separately and press F9. 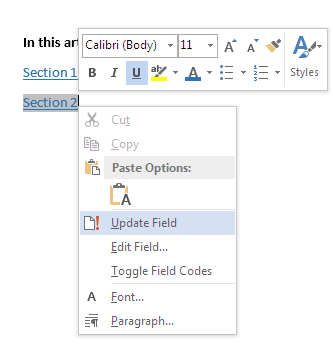 Tip: To make sure that you don’t forget to update your table of contents before you print the document, set Word to update fields automatically before printing. 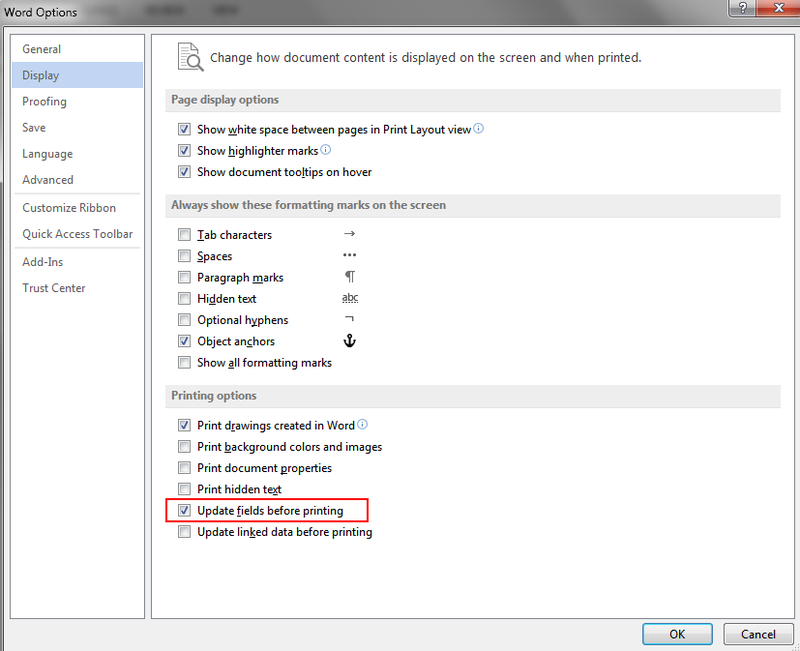 Click FILE > Options > Display, and under Printing options, select the check box for Update fields before printing. Note: Sometimes a field is not updated because the item the field refers to no longer exists. The link or bookmark might also be broken. For more information, see Troubleshoot bookmarks.